From the moment you walk through our doors you will be treated as we would expect to be treated ourselves. You will always be made to feel very welcome in our family practice. 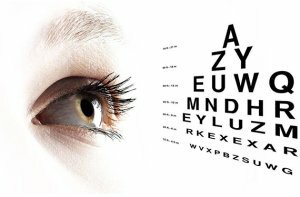 We tailor each and every eye examination to your individual requirements, taking into account our clinical findings, your family history and any problems you may be experiencing. We then spend the time to discuss the results with you, ensuring you have a better understanding of you own ocular health. We have the very latest technology to detect eye problems as soon as possible including an Optomap Digital Eye Scanner. We are currently the only Practice in the area to use this advanced technology. The Optomap allows us to get an ultra wide view of your retina that traditional methods fail to provide. The number of eye diseases that have been detected in their early stages with this technology is staggering. Detecting eye conditions early is imperative to allow accurate early treatment and sometimes even prevent these conditions occurring at all.